Today is ; local time is 11:54:28 AM. Hello again ! This is my Space Stuff page (). 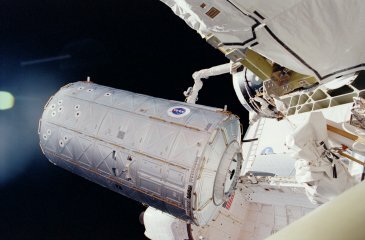 The Space Shuttle Columbia and its seven astronauts were lost today when the vehicle broke up over north central Texas during its reentry from orbit. Communications were lost with Columbia and its crew at around 8:00 a.m. CST, while the shuttle was traveling about 18 times the speed of sound at an altitude of 207,000 feet. Columbia was 16 minutes from landing at the Kennedy Space Center when flight controllers at Mission Control lost contact with the vehicle. Columbia was returning from a 16-day scientific research mission, its 28th flight, which launched on January 16. Aboard Columbia were Commander Rick Husband, completing his second flight, Pilot William McCool, wrapping up his first mission, Mission Specialists Dave Brown, also completing his first mission, Kalpana Chawla, on her second flight, Laurel Clark, a first-time space traveler, Payload Commander Mike Anderson, ending his second flight, and Payload Specialist Ilan Ramon of the Israel Space Agency, on his first flight. Prior to the loss of communications with Columbia, the shuttle’s return to Earth appeared perfectly normal. After assessing some wispy fog near the shuttle’s three-mile long landing strip at KSC before dawn, Entry Flight Director Leroy Cain gave approval for the firing of the shuttle’s braking rockets to begin its descent from orbit. Husband and McCool began the deorbit burn to allow Columbia to slip out of orbit at 7:15 a.m. CST. There was no indication of anything abnormal with Columbia’s reentry until the last communications between Mission Control and the crew. At Columbia’s intended landing site, NASA Administrator Sean O’Keefe and Associate Administrator for Space Flight William Readdy met with the families of the astronauts to offer their condolences, vowed to uncover the cause of the accident and press ahead with the Shuttle program. “This is indeed a tragic day for the NASA family, for the families of the astronauts who flew on STS-107, and likewise is tragic for the nation,” said O’Keefe. “We have no indication that the mishap was caused by anything or anyone on the ground,” O’Keefe added. In a briefing, Chief Flight Director Milt Heflin said that around 7:53 a.m. CST, just minutes before communications were lost with Columbia, flight controllers detected indications of a loss of hydraulic system temperature measurements associated with Columbia’s left wing, followed three minutes later by an increase in temperatures on the left main gear tires and brakes. At 7:58 a.m., flight controllers noted a loss of bondline temperature sensor data in the area of the left wing followed a minute later by a loss of data on tire temperatures and pressures for the left inboard and outboard tires. After several attempts to try to contact Columbia, Cain declared a contingency, whereby flight controllers began preserving documentation regarding the entry phase of the flight. Recovery forces fanned out from Texas to Louisiana to try to recover debris that will be pertinent to the mishap investigation. Space Shuttle Program Manager Ron Dittemore said several teams have been organized to gather data for analysis and will report to an external investigation board that was appointed by Administrator O’Keefe. Dittemore added that no specific orbiter debris or crew remains have been positively identified at this time, and that there is no leading theory for the cause of the accident. Dittemore said the processing of other shuttles at the Kennedy Space Center for future launches has been temporarily halted to enable engineers to review data regarding vehicle processing and to focus attention on capturing all pertinent information involving Columbia’s prelaunch preparations. NASA managers will be meeting on a regular basis to begin reviewing data associated with Columbia’s investigation. The next status briefing from the Johnson Space Center is tentatively scheduled from the Johnson Space Center, Houston, TX at 12:00 p.m. CST Sunday. 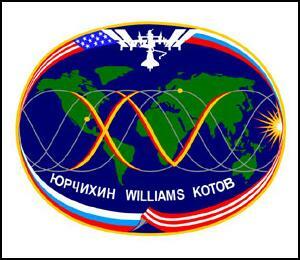 It will be seen on NASA Television with two-way question and answer capability for reporters from NASA centers. NASA TV can be found on AMC-2, Transponder 9C, vertical polarization at 85 degrees West longitude, 3880 MHz, with audio at 6.8 MHz. On the International Space Station, Expedition 6 Commander Ken Bowersox, Flight Engineer Nikolai Budarin and NASA ISS Science Officer Don Pettit were informed of the loss of Columbia and its crew shortly after a Russian Progress resupply vehicle undocked from the ISS. Filled with discarded items no longer needed on the ISS, the Progress was commanded to deorbit by Russian flight controllers and reentered the Earth’s atmosphere. A new Progress cargo ship will be launched Sunday from the Baikonur Cosmodrome in Kazakhstan at 6:59 a.m. CST (1259 GMT) filled with supplies for the Expedition 6 crew. It is scheduled to dock to the ISS Tuesday morning. 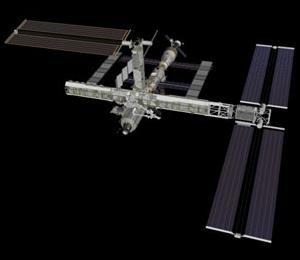 ISS program officials say, if necessary, the current resident crew could remain in orbit until late June with the supplies being ferried to the station on the new Progress. Information on the crew's activities aboard the space station, future launch dates and times, as well as station sighting opportunities from anywhere on the Earth, is available on the internet at: http://spaceflight.nasa.gov. Details on station science operations can be found on an internet site administered by the Payload Operations Center at NASA's Marshall Space Flight Center in Huntsville, Ala., at: http://www.scipoc.msfc.nasa.gov. NASA Johnson Space Center Mission Status Reports and other information are available automatically by sending an Internet electronic mail message to majordomo@listserver.jsc.nasa.gov. In the body of the message (not the subject line) users should type "subscribe hsfnews" (no quotes). This will add the email address that sent the subscibe message to the news release distribution list. The system will reply with a confirmation via E-mail of each subscription. Once you have subscribed you will receive future news releases via e-mail.